Purchase this product now and earn 4,550 Reward Points! Keeps harmful bacteria and yeast in check. Hypoallergenic. Gluten and casein free. 8 oz. powder. 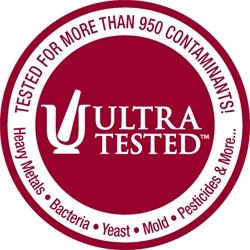 Purity Tested®. 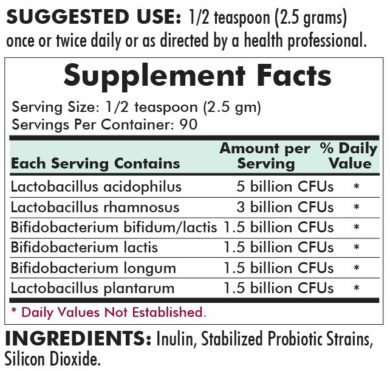 Probiotics. 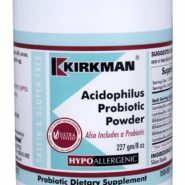 This reformulated product includes the addition of a significant amount of inulin from chicory root. 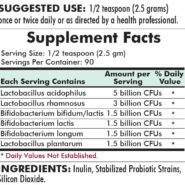 Inulin is an effective prebiotic that gives the probiotic a significant substrate to attach to in the intestinal tract resulting in improved colonization. 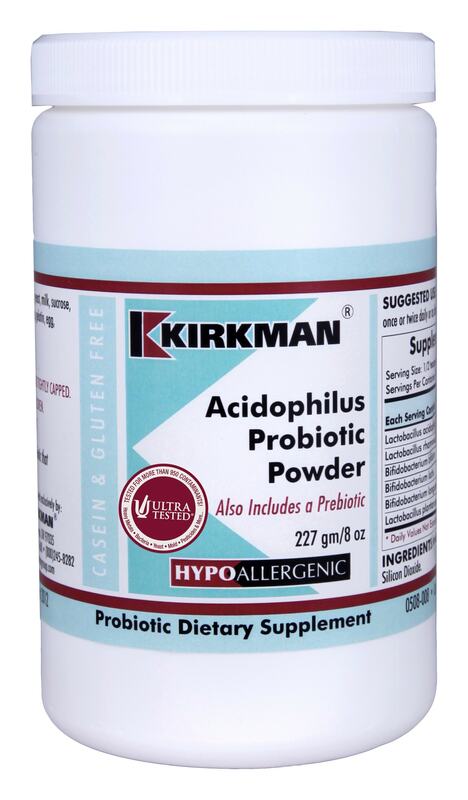 Taking acidophilus increases the friendly bacterial flora that live in the intestines. This friendly flora is important to keep a balance of healthy flora in the gastrointestinal system. helping to create an inhibitory effect on free radical activity in the colon. 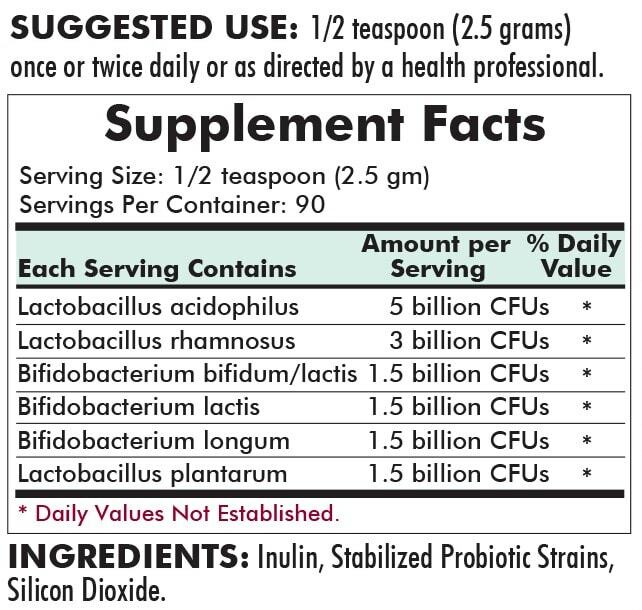 Each 1⁄2 teaspoon (2.5 gm) of this product delivers 14 billion colony forming units of beneficial bacteria. The powder can be mixed in food or drink as long as the temperature of the food or beverage does not exceed 70 degrees F.
FREE OF: Sucrose, soy, casein, gluten, milk, corn, egg, preservatives, yeast, gelatin, flavorings, colorings, peanuts, tree nuts or fish. WARNINGS: KEEP OUT OF THE REACH OF CHILDREN. KEEP BOTTLE REFRIGERATED AND TIGHTLY CAPPED. DO NOT REMOVE THE DESICCANT.